I’m sure we’ve all heard of the term, ‘less is more’, well that is certainly the case with this immaculate TSX out in New York. This car is not rockin’ some crazy low offset wheels, super aggressive aero, carbon everywhere, or some colorful paint job. 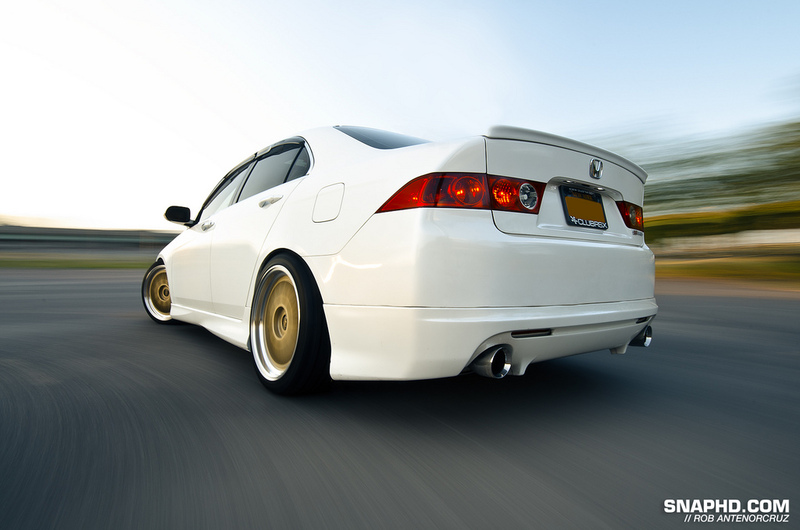 This TSX keeps things simple with an authentic Mugen front lip along with matching side skirts and rear lip. Also, we can not forget those iconic gold BBS LMs that gives this car that extra flare it needs to stand out from the crowd.